Fancy an extra-special version of Porsche’s classic 911? Then get your chequebook out, and act fast, because Porsche has announced it’ll build a limited run of a 911 Speedster. The car is based on a concept – the 911 Speedster Concept – that was revealed in June, and the production version will be built from 2019. Just 1,948 units will be made, reflecting the first Porsche 356 that was registered back in 1948. 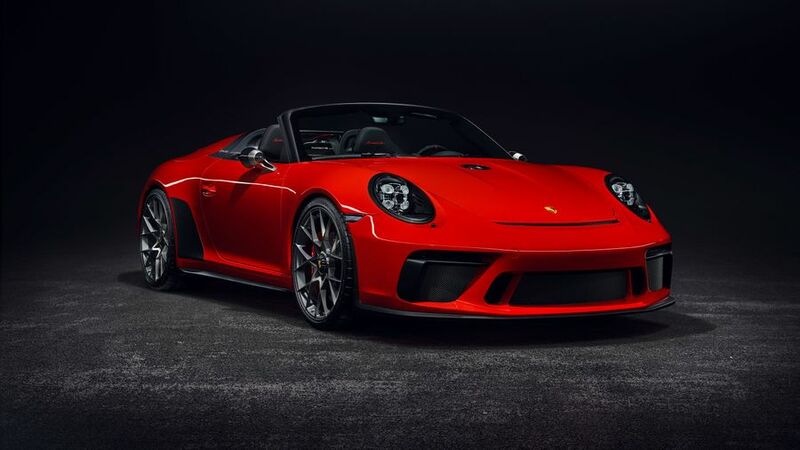 The paint colour is Guards Red, a reference to a previous 911 Speedster from 1988. As well as the different 'double bubble' look and exclusive paint colour, the 911 Speedster will be the first car available with Porsche’s new Heritage Design Packages. This is a line of options and accessories that will allow customers to personalise their car to a higher degree than previously possible. 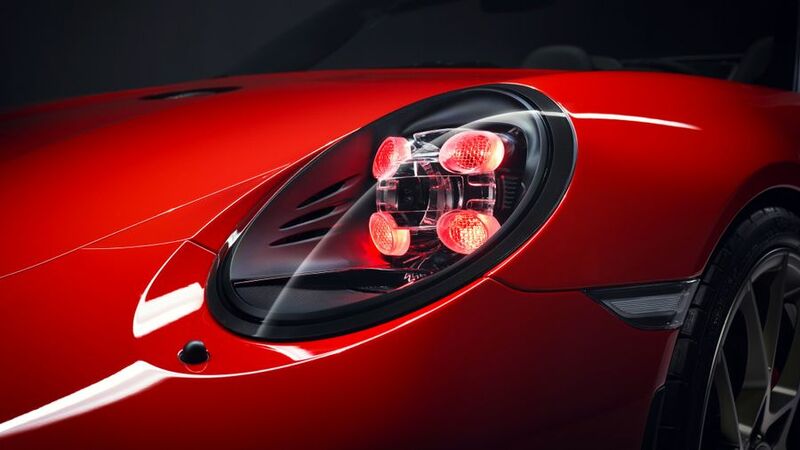 Features of the 911 Speedster include racing-style centre-lock wheels and red-tinted daytime running lights. The side mirrors and fuel tank cap, which is centrally positioned on the bonnet, are finished in black-chrome and platinum. The car’s body shape is taken from the 911 Carrera 4 Cabriolet, while the chassis comes from the 911 GT3. The engine is a naturally-aspirated flat-six with “more than 500 horsepower”, and a rev limit of 9,000rpm. Traditionalists rejoice, as it comes with a six-speed manual gearbox. 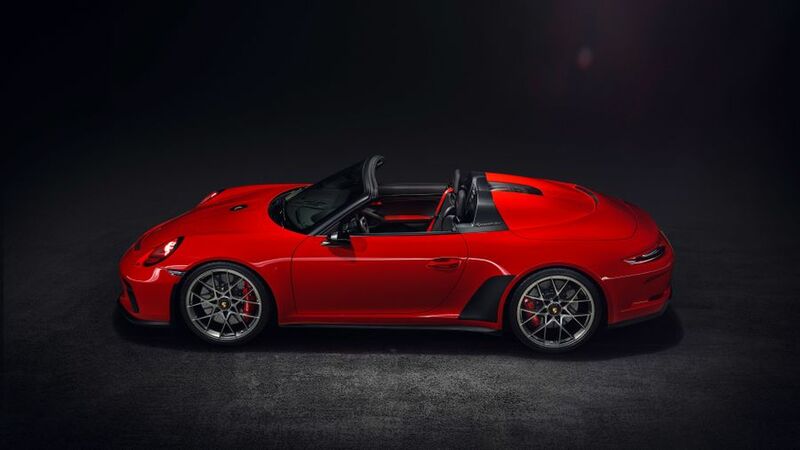 If you’re planning on using your new 911 Speedster in inclement weather, you’ll need to be aware there’s no proper roof, just a tonneau cover that fastens with “Tenax buttons” (or poppers, to you and me). Check out our full coverage of the Paris Motor Show here.